So now you’re engaged! What to do next? Most couples nowadays like doing an engagement session as a way to creatively capture them as fiancé and fiancée. Other than a Facebook status of being “Engaged” to one another, photos make a visual statement about their soon-to-be lifetime commitment official commitment to each other. If you are one of these couples and you are planning on a DIY take on it, I would like to share with you my top 5 tips for making the most out of your engagement session. These are inspired by my more than seven years of experience as a wedding photographer with different couples of varying personalities, and co-photographers and suppliers. I hope these would help everyone who would be involved in your upcoming engagement photo shoot. Choose whether it is an indoor or outdoor setting, as it will reflect the mood. The place should make you feel comfortable, whether it’s a beach, forest, cliff or a place where you first met. Remember, where you decide to have your engagement session can make or break a shoot. Also, make sure to secure a permit. Some locations have strict management policies and require a permit. It’s better to do some research first on your chosen location to avoid hassle later on. Also, if you are planning to have multiple locations for your shoot, better choose a place that are close to each other to avoid long travel time. Especially when the location is outdoors or your photographer is partly relying on natural light; the time of day determines different moods of natural lighting. For some tropical countries like the Philippines, these are the most practical times of the day to shoot outdoors in terms of mood, temperature, and using minimal lighting equipment. Your outfit is what you will have with you all throughout the shoot, so wear outfits that are comfortable and at the same time brings out the confidence in you. On a normal session, 2 to 3 outfit changes will do. Love is both complex and simple. As with your props, as long as they reflect your personality and that you enjoy having these, go for it. Whether you like having more or you prefer going minimalist, your smile (while wearing your ring!) will always be the best accessory of all. Try not to get nervous in front of the camera. Just relax; this is not a catalogue or commercial shoot. You don’t have to pretend to be someone else, just be yourself. It doesn’t matter if your concept is too wild or too simple, as long as you can move freely and act naturally. Don’t give too much thought regarding your poses. Your normal actions toward each other will bring out beautiful candid shots that will tell interesting stories. I’m just here to document your genuine love for each other, so it’s better for you to focus on your partner and enjoy every moment with each other! So, there you go! At the end of the day, what matters most is that the beautiful photos match the enjoyable engagement session with your soon-to-be lifetime partner. We are just here to capture these moments for you as you embark on a new adventure together. 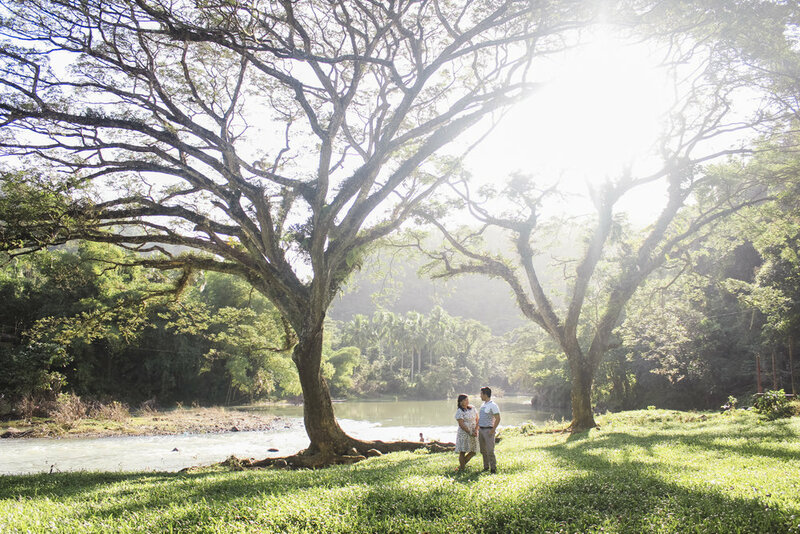 Mot Rasay Photography's engagement session package starts at Php 15,000. For inquiries, feel free to email us at motrasay@gmail.com.